Maccabees, Miracles and Zionists…and how to get the balance right. Posted on 22 December 2011 by jews4big | Comments Off on Maccabees, Miracles and Zionists…and how to get the balance right. The Jewish festival of Hanukkah began yesterday, prompting thoughtful ruminations from Robert Cohen. Here, with our good wishes for the festive season, is a link to his blog, Micah’s Paradigm Shift. There is another relevant link at the bottom of this post. 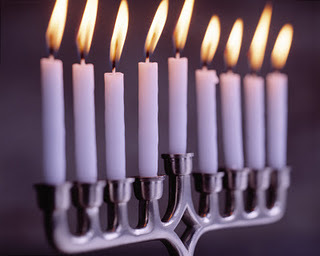 Cohen notes that, for most of its history, Hannukah was marginal to Jewish life. Then the story of the Maccabee revolt was seized upon and given new prominence by Zionists entranced by a story of Jews taking their fate into their own hands. Sea also Tony Karom’s piece on Rootless Cosmopolitan last year, ‘Hannukah without the Taliban‘ (cross-posted from Jnews). Comments Off on Maccabees, Miracles and Zionists…and how to get the balance right.